Fabio Massari 1.5 inch genuine leather belt with a beautiful center bar buckle. 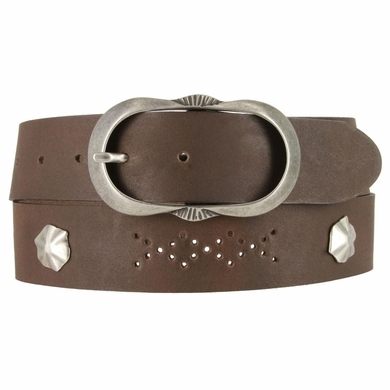 This belt features decorative metal pieces along the length of the belt that match the buckle. Made in Italy.